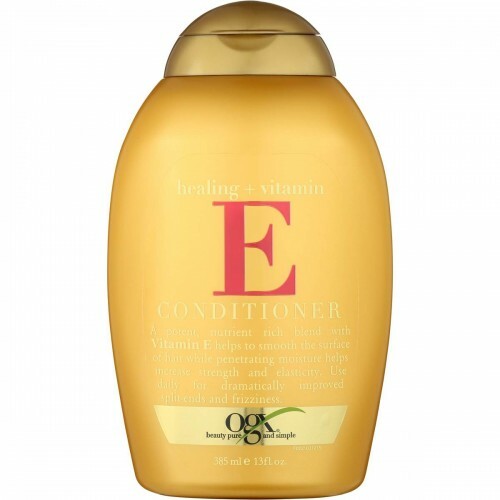 A potent, nutrient rich blend with vitamin E helps to smooth the surface of hair while penetrating moisture helps increase strength and elasticity. 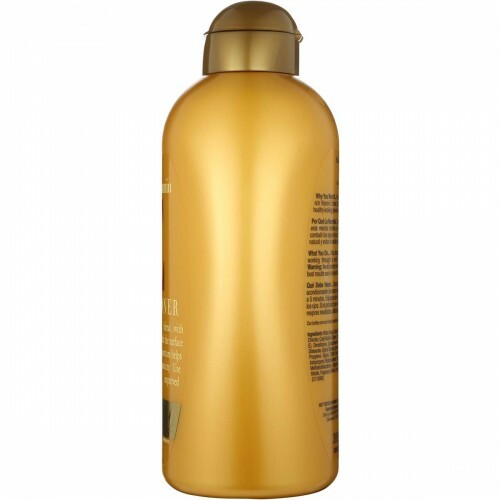 Use daily for dramatically improved split ends and fizziness. Why You Want It.. Treat strands with a daily dose of this nutrient rich Vitamin E blend, to help heal the signs of damage, revealing healthy-looking glow and lowering the risk of future breakage. Our bottle are-friendly, manufacture from materials containing recycled post-consumer resin. Water (Aqua), Cetearyl Alcohol, Behentrimonium Chloride, Cetyl Alcohol, Glycerin, Tocopheryl Acetate (Vitamin E), Dimethicone, Cyclopentasiloxane, Dimethiconol, Glycol Distearate, Glycol Stearate, Isopropyl Alcohol, Ceteareth-20, Propylene Glycol, DMDM Hydantoin, Diazolidinyl Urea, Lodopropinyl Butylcarbamate, Methylchloroisothiazolinone, Methylisothiazolinone, Magnesium Chloride, Magnesium Nitrate, Fragrance (Parfum), Yellow 5 (CI 19140), Yellow 6 (CI 15985).